BOSTON – Tom Brady is losing one of his top receivers, and Jared Goff is getting a speedy new target. 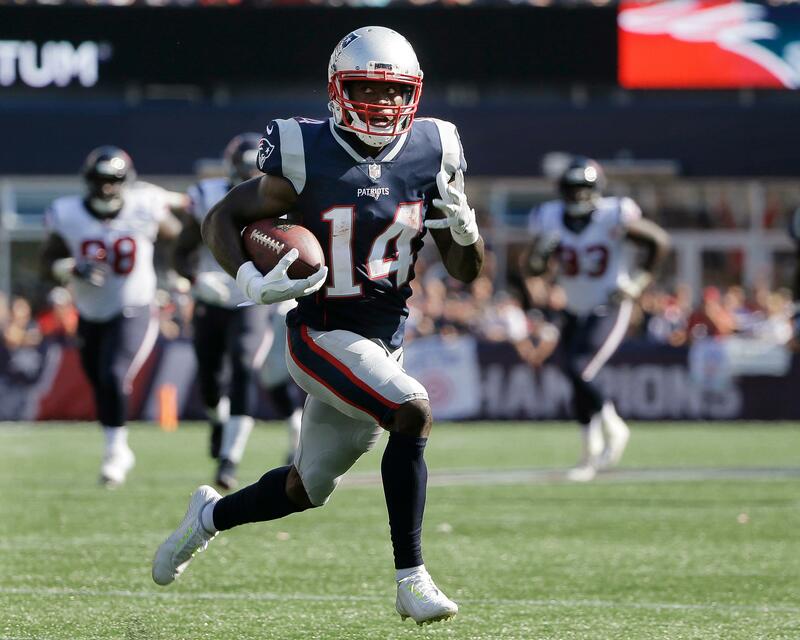 The New England Patriots traded receiver Brandin Cooks to the Rams on Tuesday for Los Angeles’ first-round draft pick, the 23rd overall. The 24-year-old Cooks had 65 catches for 1,082 yards and seven touchdowns in his only season with the Patriots. His receiving stats were second on the defending AFC champions’ roster only to tight end Rob Gronkowski, who barely topped Cooks in all three categories. Cooks’ clear chemistry with Brady makes the trade fairly surprising for New England, particularly after the recent departure of another favorite Brady target, Danny Amendola, who signed with the Dolphins. After weeks of rumors about the Rams’ interest in acquiring star receiver Odell Beckham Jr. from the New York Giants, they managed to find another elite talent at the position. Cooks’ speed and versatility should fit in well in coach Sean McVay’s schemes as he lines up alongside Robert Woods and Cooper Kupp in the NFL’s highest-scoring offense last season. Watkins was in the same contractual situation when the Rams acquired him from Buffalo during training camp last year, and he parlayed a solid season in Los Angeles into an enormous contract elsewhere. Yet the Rams don’t appear to regret the trade, even though Watkins was their fourth-leading receiver with 39 catches, because he excelled in the red zone with eight TD grabs and provided a deep threat that had to be respected by opponents. Cooks will be asked to do all that and more with the Rams, who haven’t let up on their intense offseason pursuit of a championship roster. With the draft picks acquired in Tuesday’s deal, New England now holds four picks in the first two rounds later this month and four more picks in Rounds 3-7. That gives coach Bill Belichick the ability to go shopping for a young prospect or perhaps to make a deal for a veteran. Still, there’s also the possibility that the Patriots may do nothing at all at receiver heading into training camp. Cooks was New Orleans’ first-round selection out of Oregon State in 2014, and he played three solid seasons for the Saints while emerging as a top young receiver. Although Cooks is one year away from free agency, the Rams probably feel they’ve got a better chance to do a long-term deal with Cooks. Cooks and Goff are represented by the same agent, and Cooks is a Stockton, California, native whose family will be able to see him play regularly. AP Sports Writer Greg Beacham in Los Angeles contributed to this story. Published: April 3, 2018, 3:36 p.m. Updated: April 3, 2018, 6:03 p.m.